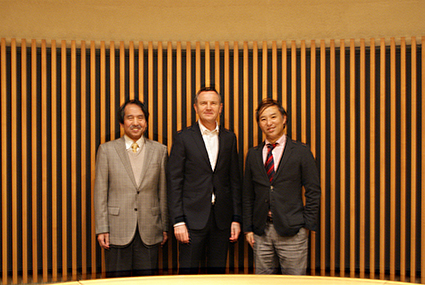 On 6th December 2018, the BMW x GIS Collaboration Event was held in the Sky Hall of Boissonade Tower, at the Ichigaya Campus. 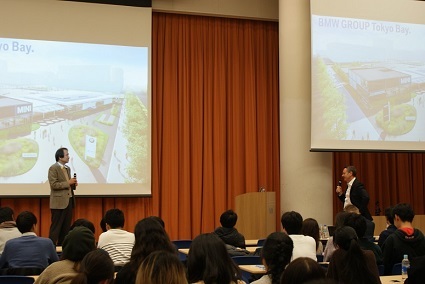 There was a large crowd of over 160 people, both GIS students and general attendees, who listened attentively to the informative presentation by Mr. Peter Kronschnabl, President and CEO of BMW Group Japan. 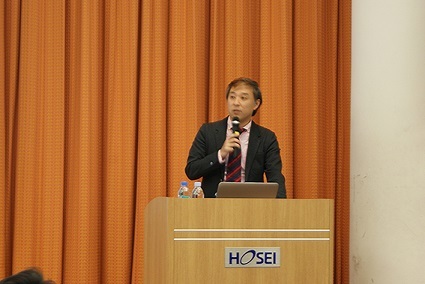 Following the introduction of the guest speaker by the Associate Professor and Vice Dean of GIS, Takamasa Fukuoka, Mr. Kronschnabl explained the overview and strategies of the BMW Group. 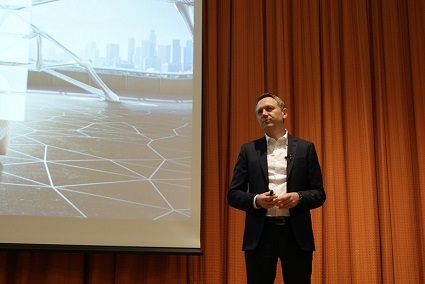 He went on to talk about the environment of the automotive industry, and the mindset required to be successful in global business through his own experiences. After the lively and energetic presentation by this top figure in one of the leading mobility providers in the world, an active exchange of questions and answers continued until the end of the event. This successful first BMW x GIS Collaboration Event concluded with closing remarks by Yutai Watanabe, Dean of GIS.